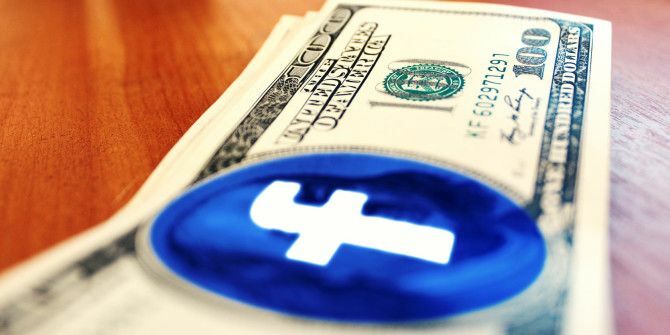 Facebook Makes Money Out of Your Data, Why Shouldn’t You? There are so many free services online because companies can profit from the data you provide. Companies like Facebook sell your data to third parties, while ones like Google use your data to target ads directly at you. As the saying goes, if you’re not paying for something, you’re the product, not the customer You Are The Product, Not The Client: The Personal Data Economy Explained You Are The Product, Not The Client: The Personal Data Economy Explained As Andrew Lewis once said "If you're not paying for something, you're not the customer; you're the product being sold". Think about the implications of that quote for a moment – how many free services... Read More . But if these companies can make money from your data, why can’t you make money from your own data? New companies are springing up online, promising to cut you in on the action. Provide your personal data and they’ll sell it to third parties, giving you some of the profit instead of keeping it all to themselves. But how much money can you really make this way? And is this a good idea, or a further violation of your privacy What Is PRISM? Everything You Need to Know What Is PRISM? Everything You Need to Know The National Security Agency in the US has access to whatever data you're storing with US service providers like Google Microsoft, Yahoo, and Facebook. They're also likely monitoring most of the traffic flowing across the... Read More ? How Much Is Your Data Worth, Really? 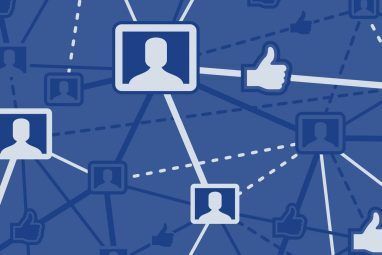 Companies like Facebook may make significant profit from personal data, but that’s because they have so much. Some data may be sold for pennies or even fractions of pennies, making this hardly worth your time. Some purchase-intent data can be very valuable. For example, if you’re about to buy a new car in a few months, that data may be particularly valuable to car dealers who may pay big bucks to advertise to you in hopes you’ll buy an expensive car from them. However, much data — what websites you’re visiting, what products you buy, your name, location, and occupation — isn’t worth too much. Worse yet, much of this data is already available online for cheap so you can’t sell it for too much. The Financial Times offers an online calculator that attempts to tell you how much your data would be worth to a marketer. It’s not as much as you might think. This calculator also demonstrates another problem with providing your own data — you could change your answers to make your data appear to be worth more. 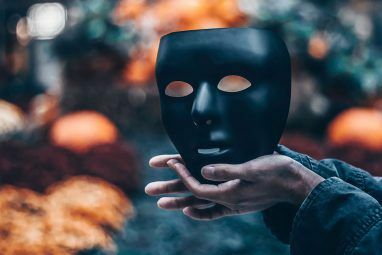 Data-selling services that become successful may have to link into your bank account, credit reports, and other personal details to ensure they’re getting a true picture of you and your data, reducing your privacy even further. First of all, bear in mind that this aspect of the personal data economy is fairly new. Companies that collect your personal data and sell it — like Facebook — are established and are big businesses. However, companies that allow you to provide your own data and sell it for you are new and testing the waters. In theory, you’d sign up for a website and provide your personal data to it. You’d then see offers for your personal data, the company may try to sell it for you, or the site itself may function as a repository for your data that you can grant other companies access to. You’d then be provided with payment for your data — after the site takes its own cut, of course. This is similar to what happens on Facebook, only you’d receive a bit of money instead of a free service. You’d also have to take more ownership of your data, going out of your way to provide it. There are a variety of problems with this idea. People who want to sell their data will have to sign up for accounts and provide their personal data to such sites, which takes time and energy. The genius of sites like Facebook is that they get you to provide your data in a way that seems fun — you don’t feel like you’re filling out dry forms. You’re sharing information with your friends! Setting a price is also a concern. How do you know what’s a fair offer or how much your data is actually worth on the marketplace? How do you deal with the reality that many data transactions are likely to be worth only a few cents or fractions of a cent, and how do you encourage users to keep providing data even when it seems it may not be worth their time? The effort required to collect all data in one place and maintain it will likely be too much for the small profit you can make from selling your data. Money For My Data: This site promises that you can “Claim Your Value,” establishing legal rights to own your data and hiring an agent to market it for you. It sounds okay until you read the FAQ page, which says you’ll need to fill out a survey every few months to provide your own data. In this way, this service is similar to many paid survey sites You Actually Can Earn Money by Taking Online Surveys You Actually Can Earn Money by Taking Online Surveys Read More that have existed online forever — they’ll pay you tiny amounts of money to fill out surveys online and provide data. Even if you didn’t have to fill out surveys, you’d have to fill out similar forms on other services to provide data — so these services have much in common with paid survey sites, likely including the very small payouts. Personal: According to stories from about a year ago, Personal planned to add a marketplace where users can sell their data within the year. The service itself functions as a repository for a user’s data that users have to pay $30 per year to maintain. No marketplace is yet open, so this service can’t be used to sell your data — you can only pay them to store it for you. Reputation.com: According to Mashable, Reputation.com plans on adding a service where you can provide your personal data to companies “in return for discounts or other perks.” For example, you could provide airlines access to your income in exchange for loyalty points. This is actually not too different from the current system — you’re being paid in discounts and loyalty points, not cash. Yes Profile: This service allows you to build up a personal profile with your interests and preferences. You can then make money by “renting” your profile to brands, although it’s unclear if any brands are actually using the service. Yes Profile says that “revenues for each user could reach 100 euros a month,” although there’s no indication of what current users are actually making, if anything. So, should you sign up for one of these services and start trying to sell your data? Probably not. It’s a lot of effort and there’s no real indication that you’d make anything more than a few cents for a significant investment of time. It’s unclear if such services would ever catch on, and they likely won’t in their current form — people don’t want to manage their own data profiles for a few cents an hour. Nevertheless, such services could become more popular in the future. Imagine if a future technology like Google Glass 5 Reasons Why Google's Project Glass Is The Future & Why That's Awesome [Opinion] 5 Reasons Why Google's Project Glass Is The Future & Why That's Awesome [Opinion] Google’s Project Glass has everyone talking. It’s a glimpse of the future of augmented reality, wearable computing, and better integration of the Internet and technology in our day-to-day lives. Imagine replacing your smartphone with a... Read More collected very in-depth statistics about your day — all automatically — and transparently offered to sell it for you. Such services would capture data advertisers don’t necessarily have access to and would do it all automatically. It’s a more compelling proposition than sitting at your computer and filling out forms to provide information that advertisers probably already know about you. What do you think of this aspect of the personal data economy? Will we be selling our own data in the future, or is that a silly concept? Leave a comment and chime in! Explore more about: Facebook, Make Money Online, Online Advertising. The first thing I thought when reading this was surveys. That's sad, but that's true :) They earn on you. I'm quite proud of the fact that I've maintained a sufficiently low profile online such that only the barest details of my real identity are available to casual search. My online handle is easily found from a google search but also reveals very little about my real self. This is as it should be. 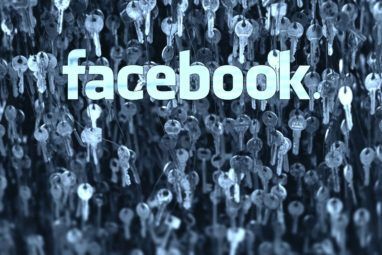 I go out of my way to prevent communication with services that would extract value from my demographic details without my consent; no computer I'm responsible for can even communicate with a server belonging to Facebook, for example. The laws in the US are completely wrong in this regard: individuals really should own information about themselves. It clearly has value and the matter of who should be trusted with that information should be left with the people for whom it is important. Self deception is a very bad thing. Very bad. Delusion. You do know about cookies, right? You don't have to fill out any form. It's all done automatically for you. Turning it "off" in your browser of choice makes no REAL change. Even when you're offline...stored safely in the various "temps" folders scattered around your computer/tablet/smartphone's OS. The moment you come online, it's public domain for the Big Companies. You use a credit card, an ATM card, make calls or SMS? All those records are automatically collected, and archived, until the highest bidder comes along. The companies involved all swear they are interested in your privacy. If you believe that, you believe Santa Claus exists. The NSA, GCHQ and others can draw the MOST ACCURATE profile of you in a couple of minutes. They already have it right there, whether you're aware or consent. Self deception is indeed a VERY BAD thing. I completely agree with what you say likefunbutnot , It really should be the choice of the individual, whose personal information goes out to for viewing. I'm not to sure about the privacy laws there in America? But I myself am a Canadian Resident. And I feel that we aren't protected nearly enough as far as who's hands our personal information is being sold too. It should be our personal right, and only our choice and decision as far as our personal information and what happens to it. After all, we are the owners of this information ! And with all the Identity theft going on out there in recent years . It really makes one fear even going online to trust the internet. Then having to question your security as you sign in online. Then to find out the moment in which you do this , You're being watched, followed, stalked so to speak really. And with each page you navigate thru or with each click of your mouse its also being recorded, and possibly sold to the next big company , with as little as a few pennies , so that they can hopefully target you personally by profiling you for whatever is their agenda ! I mean this all sounds really no different than a computer hacker that has hacked into your personal computer. Steals your personal information. Next you know it ,You have discovered that you have become the victim of an Identity theft , or even credit card fraud! I have to wonder what steps are these Companies taking to ensure that this information they have paid for to gain info on us doesn't end up in the hands of these bad guys ? And if the bad guys did manage to acquire our personal info from these Company's . Then who is held responsible or accountable for the crimes committed against us ? I know that as a responsible citizen, I take my own precautionary measures to the best of my ability to protect myself against such things as identity theft . And I feel that its our responsibility to do this ! But when its just taken from me, then collected without my knowledge, and my personal info is stolen from me as I feel is being done . being that its without my consent or my knowledge that this is happening and then to also sell my info without my consent. I feel, and strongly think that this is nothing more than identity theft itself. And this should be against the law for these Companies to be allowed to continue to do so. And if they want to continue doing this then there should be a law in place to at the very least, notify these persons that they are targeting and wanting to use their personal info and must also disclose the purpose of what and to whom they need this info for. And then that person would have the choice of what, if any to either sell this info too if they so wish. And have the choice of what info they will be allowed access to. I feel these Companies must also have a policy in place for how they dispose of that information once it is no longer needed in a secure manner according to privacy laws! Our personal information should be just that ! personal. Absolutely No one should be able to collect information on you without your prior consent and knowledge! Protect yourselves. Which VC bankrolled this crazy idea? The NSA?